Welcome to the Boating with Clyde collection. Boating with Clyde is a nautical adventure series created by Clyde Petersen. The series features musicians and artists from around the world, performing on the waterways of the Puget Sound. Boating with Clyde began in 2010. Petersen often hosted touring bands at their house, and on their days off on tour, or for a few free hours, they would go boating just for fun in the Washington Park Arboretum. These joyous adventures propelled Clyde with a desire to invite more and more friends and strangers to perform on boat and film it for others to enjoy. I don’t make money off the series. It’s free. I like to document history and share music and culture and this is one of the ways I do it. In addition to a video series, BWC has also been an installation at Gallery 4Culture, Bumbershoot, Cornish Gallery and Pivot Gallery in Seattle. 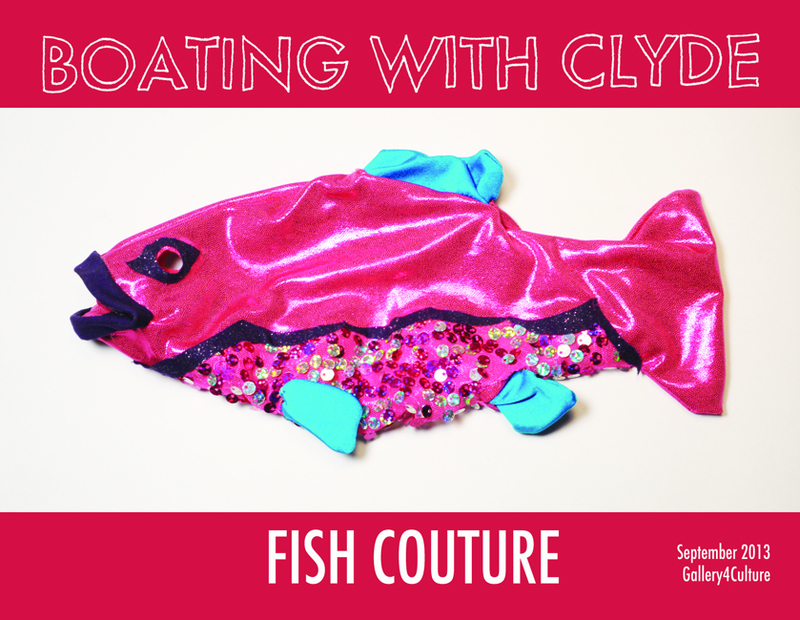 If you want to perform on or exhibit and screen Boating with Clyde, get in touch. Season Four of Boating with Clyde is currently being edited. We had an extensive list of amazing guests this year including: Lori Goldston, R. Ring (Kelley Deal’s new band), Al Larsen, Little Wings, Ghost Mice, Holodeck Heart, Younger Shoulder, Corey J. Brewer, Wizard Apprentice, Hot Tears, La Pump, Marie and Kirk Lorenz, Mecca Normal, and the artists who installed mirrors on the Bridge to Nowhere. We will also have a special edition featuring the Friendship Trail. 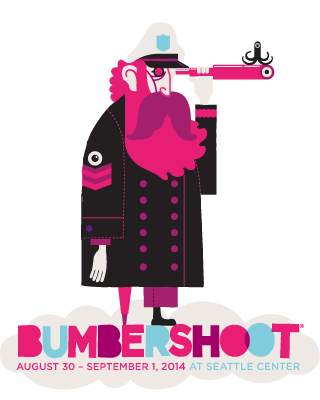 Boating with Clyde is going to Bumbershoot! The full show will be installed in a tent outside of the Fisher Pavilion. The show runs from August 29th to September 1st. Live artists will perform in the boat on Saturday, Sunday and Monday! Corey J Brewer, Angelo Spencer, Holodeck Heart, Sierra Nelson and Slashed Tires. Come take a moment away from raging in the mosh pit to sit and watch new episodes of the show on the wooden dock. Guests: Kirk and Marie Lorenz in the Foss Waterway. Tacoma, Washington. Check out Marie Lorenz’s Tide and Current Taxi in NYC. 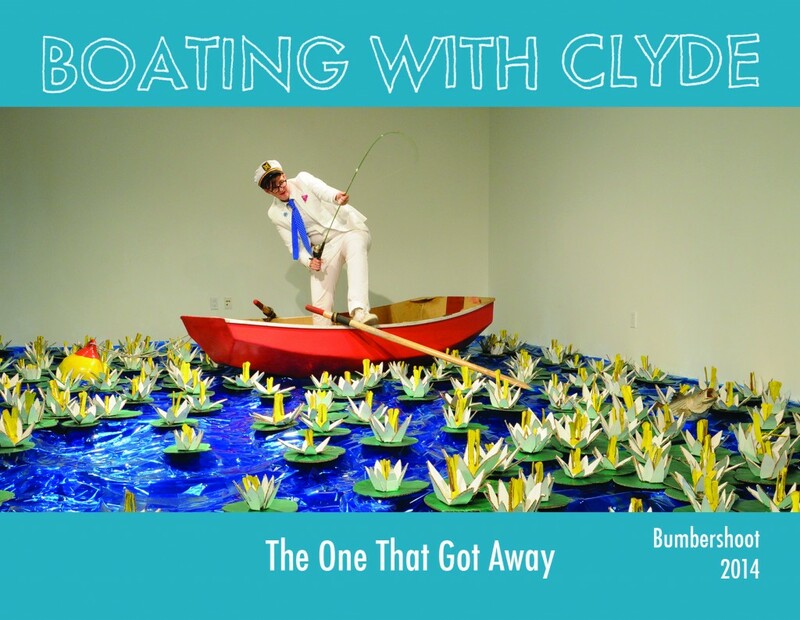 The Boating with Clyde installation at Gallery 4Culture was a great success. Check out these two videos to see the full effect of the show, and all the hard work put into the install. Season Three will be online soon and I hope to shoot more episodes this winter. July 30, 2013 Ahoy Matey! 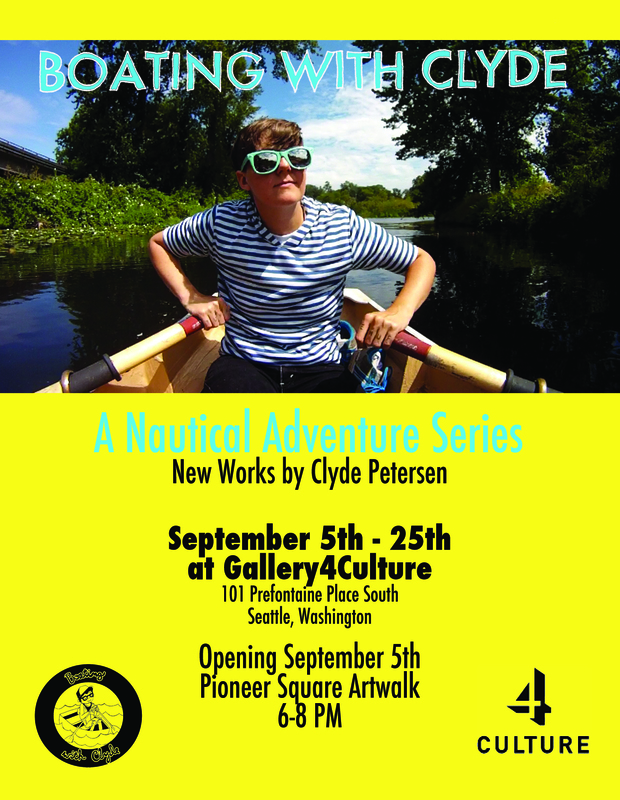 The Boating with Clyde Solo Exhibition is coming to Gallery 4Culture in September. It opens at 6pm on September 5th during the Pioneer Square Artwalk. There will be fish couture, singing robot fish, a plethora of new footage from seasons 1-3 and a full cardboard recreation of the Washington Park Arboretum. April 12, 2013 We braved wind and pouring rain today to welcome Jen from Portland, the artist formerly known as La Pump and her drummer for the day, Jude from Seattle band Wishbeard. We launched and headed directly for the bridge to take cover from the buckets of water being dropped onto us. It was a cold shoot, but well worth it.